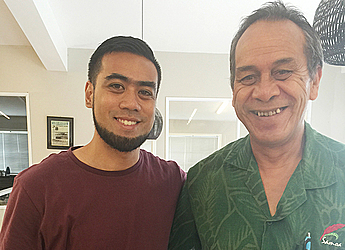 A young Samoan entrepreneur has been running his own video production business, called L.J. PRODUCTIONS, for about a year in Otara, Auckland, New Zealand. He is testament to the fact that your passion can become your career if you choose to pursue it. Through the help of an innovative High Tech Youth Network H.T.Y.N. in New Zealand, Lole Junior Lolesio, started his business in 2015 founded on his passion for computer graphics that was developed from the age of 15. The High Tech Youth Network is a pioneering learning and development community of closely affiliated High Tech Youth Studios and people that support each other, young people and underserved communities across the Oceania region. L.J. PRODUCTIONS produces a range of digital media such as workshops relating to basic graphic designs, advanced video productions, motion graphics and video editing. Video production is not only the core competency of L.J. PRODUCTIONS but it is what the Lole Junior is mostly passionate about. “Before any of this, I started off as an I.T. technician, just fixing computers. That would’ve been back, when I was maybe eight years old. My brother was into computer stuff so I learnt some things from him. The 24-year-old’s talents have been exposed out of New Zealand. He’s done some work in Australia and he’s been currently working on filming for a wedding in Savaii. He believes, “If you do good; people will find out. 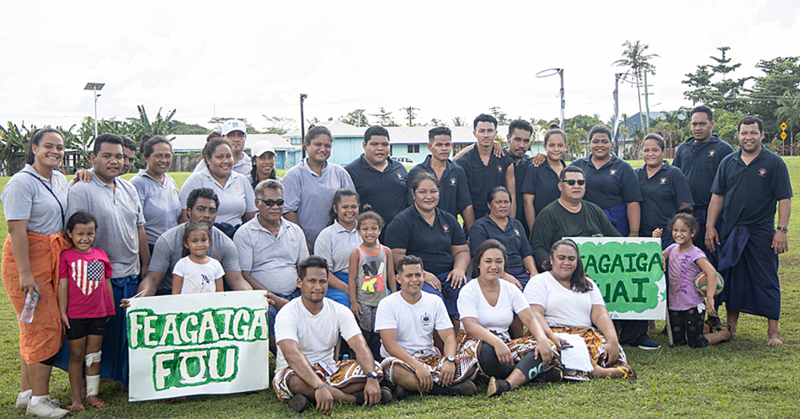 “One of my biggest contracts was with Cook Islands Health,” he said. “I’ve also done work for the American Chamber of Commerce and that’s a good insight on exporting and importing, you know just knowing the figures from other companies. “We were contracted to create contents for their Awards night. “Microsoft was another one; I created an ad for it,” he said modestly. Lole Junior also has experience in collaboration work. He said that when it comes to business clients, it has been good but not crazy busy and for him that’s good enough because he’s still new and trying to learn more about the industry. Just like any entrepreneur, Lole Junior has had his fair share of business challenges. He said High Tech Youth Network in Otara helped him a lot with those challenges. H.T.Y.N. is an after school programme based in various schools and community centers in New Zealand, Hawaii and Fiji. It is where kid aged 8-25 can go after school to learn about all sorts of things like robotics, digital technology, creating ads etc. Lole Junior joined H.T.Y.N. in 2005 and 2010 was his last year but he always goes back and gives back as a volunteer mentor. “I think one of the biggest challenges was trying to understand tax and all the business side of things when I decided to set up my business,” he said. “I had all the technical skills but I didn’t have the business side. Lole Junior believes that L.J. PRODUCTIONS will be so much more in the future. 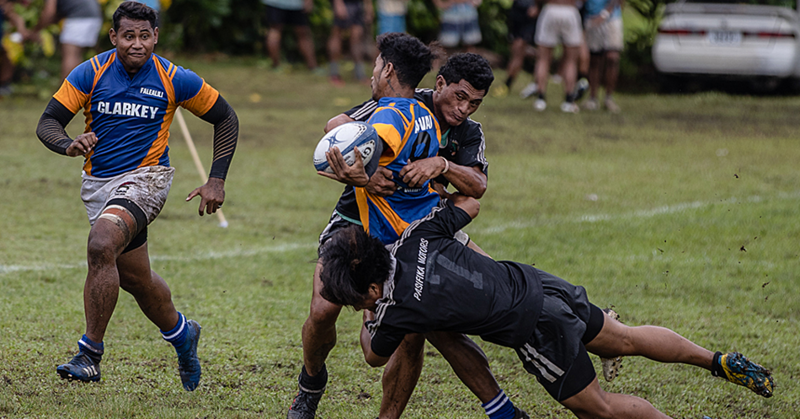 “I see a lot of opportunities here in Samoa so I really wouldn’t mind moving here,” he admitted. He said in the past three days, he has loved what he has seen so far of the island. He’s got family at Lalomalava, Savaii, Levi Saleimoa and Samatau. As for his work, “I’m not doing this for myself. “I’m doing this because I want to encourage the other kids to not just stay in their community but reach out to a wider community and your business will go from there. Lole Junior returns to New Zealand this Thursday but Keu Iorangi of H.T.Y.N. 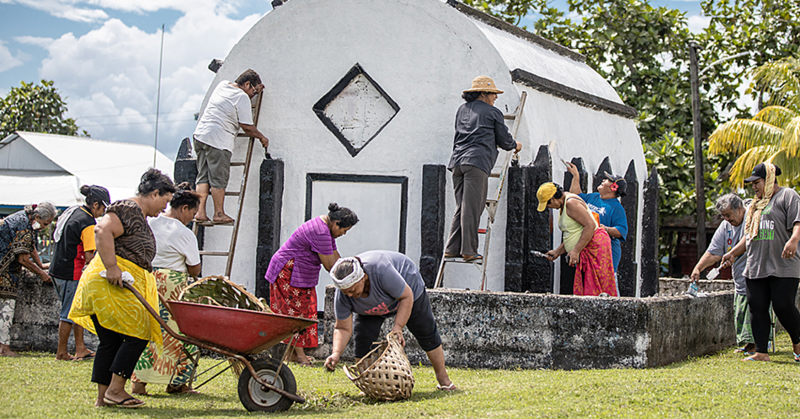 Auckland, will host two workshops for the public and prospective volunteers at Samoa’s H.T.Y.N. building near Samoa College on Friday 03 March.